Rotadent's are only available through your dental professional. Ask if one is right for you. Family Smile Dentistry offers gentle dental services for an attractive and healthy smile! 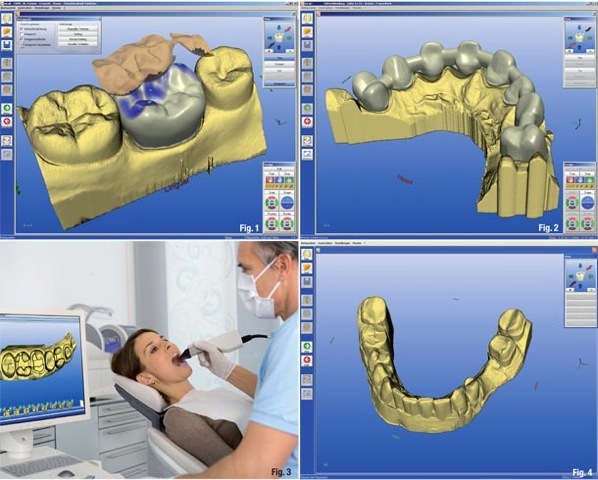 We now offer new Cerec CAD/CAM technology that allows us to image and mill a crown in 1 day, or should i say 2:30 hours of your time. Not only are we making individual crowns with this technology, we are performing bridges in 1 day as well! 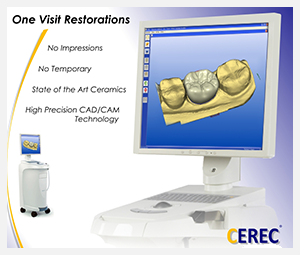 This Cerec machine also allows us to make custom implant abutments. This allows for the abutment to personally fit into your mouth from images taken of your teeth. No more stock abutment with one size fits all. Also added to our practice is an STA Machine called the wand. This wand is a computer operated anesthetic release. This new system is used on lower teeth and is painless. The computer releases the anesthetic at a controled release allowing for a more compfortable injection. EVERYBODY loves this. Believe me when i say...no pain at all!